Thank you for your interest in Child Development. Please click on the brochure to download a PDF file that can be printed or is available at our Welcome Center. Throughout these web pages you will find our program offerings for children six weeks of age through age five in our Early Childhood Learning Center as well as for grade school children with our Before & After School Enrichment program. We are blessed to have passionate and experienced staff who focus on the development of our participants. If you would like more information on any of our Child Development program please contact Jennifer D’Angelo, Child Care Director at j.dangelo@gbgymca.org or 724-834-0150. ext. 151. All child care staff are qualified and trained in Child Development. Staff must possess FBI, criminal history and child abuse clearances and their performance is evaluated periodically. All staff are provided ongoing training opportunities through the YMCA and other agencies to stimulate continued growth and education in the child development field. Staff are also required to obtain CPR, First Aid, Fire Safety, Water Safety and Child Abuse Prevention training on a yearly basis. I researched and visited many day care facilities in the area and found the Greensburg Y met the needs of my children…I am pleased to say the ECLC is far above any other facility. The entire ECLC staff is remarkable. They treat my son as if he was one of their own. As a working mom, this gives me comfort. I commend the entire staff of the ECLC. The work they do is not easy, and they do it with such professionalism and compassion. This program is a huge blessing for my boy, who attends both mornings and after school. The staff counselors are like family to him…He even gets help with his homework. 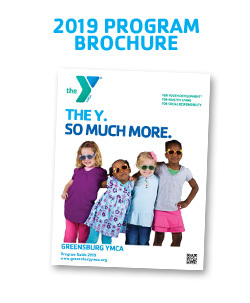 The Greensburg YMCA strives to never turn anyone away due to the inability to pay. With that in mind we will accept two forms of assistance in defraying the costs of membership, programs, and childcare. One way is through the YMCA Annual Support Campaign. The YMCA is able to grant scholarships to families in need due to the generosity of local businesses and individuals who donate monies to the campaign. We encourage those who may not be able to afford camp services on their own to complete a Financial Assistance Application and submit it to the Welcome Center of the YMCA. Please allow up to four weeks for processing. Additionally, our child care programs including the Early Childhood Learning Center (ECLC), Before and After School Enrichment (BASE), and our Camps (Adventure and Sports) accept payment from Child Care Information Services (CCIS). Families should contact CCIS of Westmoreland County to inquire if they are qualified (724-836-4580).